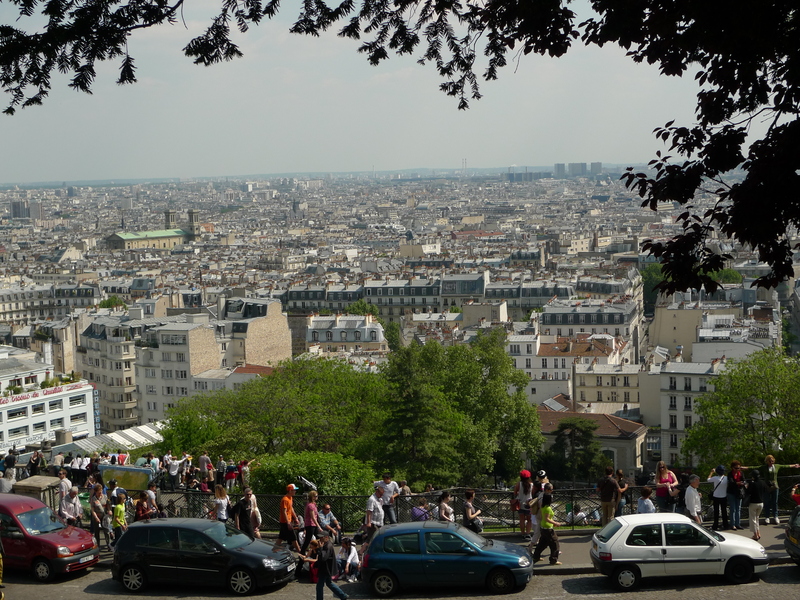 OVER THE LAST YEAR, I’ve collected many sounds in Montmartre in the 18th arrondissement. It’s one of the most visited parts of Paris and it’s easy to see why. Dominated by the Basilique du Sacré-Coeur sitting atop the hill that is La Butte de Montmartre, Montmartre is a popular and attractive historic village within the city. People come here to experience the atmosphere, to see the artists at work, to savour the food, to sample the nightlife and to enjoy the magnificent view of Paris. In this soundwalk I’ve tried to capture some of that atmosphere. Those of you who have visited Montmartre will recognise some of these sounds I’m sure. 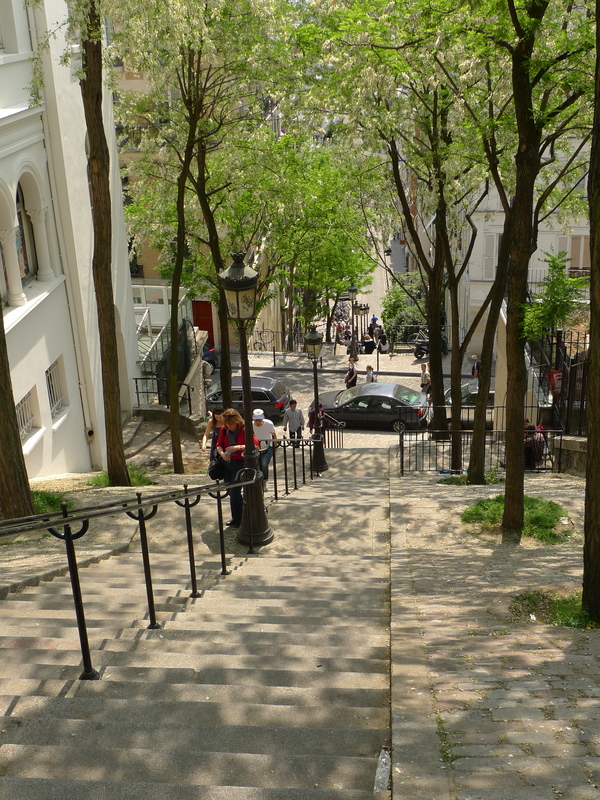 For those of you who have never had the Montmartre experience, the soundwalk includes the sound of con men busily ripping off unsuspecting tourists on a Sunday morning at the foot of La Butte de Montmartre. Yes, I’m afraid that Paris does have its ugly side too! We take the funicular to the top of the hill where the bell on the tourist train is beckoning customers. The man making key rings from coloured wool is a permanent fixture, as is his running commentary. A walk along the rue Norvins brings us to the bistro, La Petaudiere and lunch complete with piano. We hear an Edith Piaf sound-alike, one of the better ones in Paris. 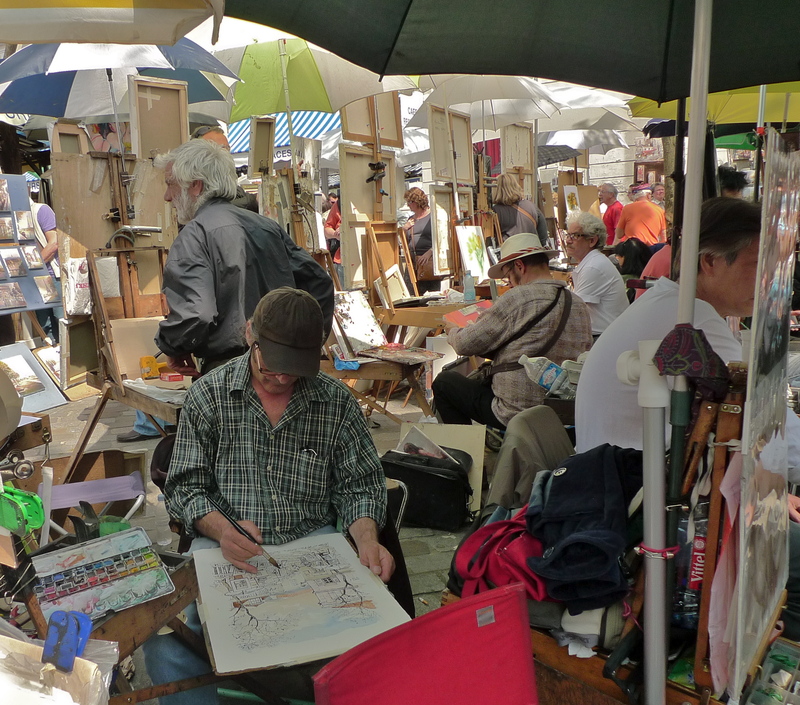 We cross the Place du Tertre and come upon an altercation, a perfect demonstration of the way the French turn an argument into an art form. I’ve written about this before on this Blog. And finally, we are summoned by bells – the bells of the Basilique du Sacré-Coeur peeling out on a Sunday afternoon. I hope these sounds give you a flavour of Montmartre and for those of you who have never been, I hope it will tempt you to come and listen to the sounds for yourself. 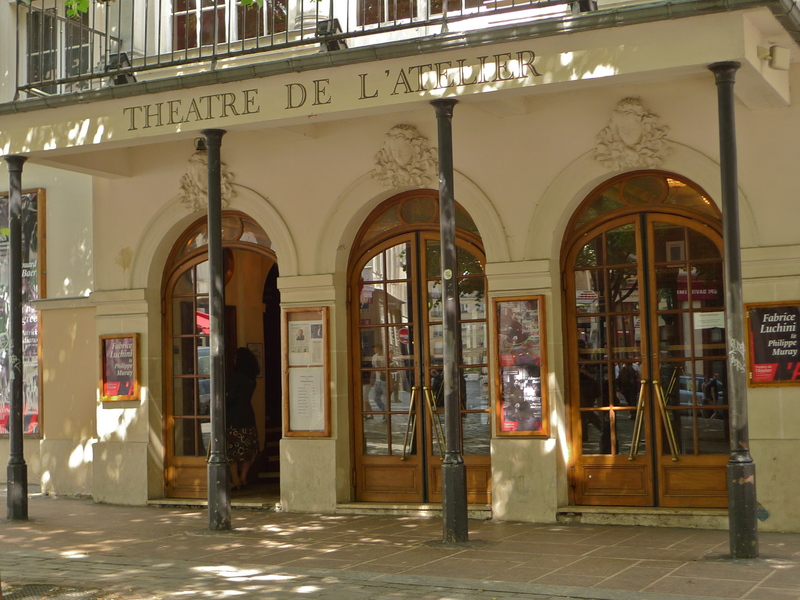 Montmartre has its own website so you can catch up with all the news here. Thanks Roger. I really enjoyed making this piece. Nice work, you’ve again captured a sonic slice of Paris. What I also love is you’ve captured the sound of people enjoying their leisure time, and because of that this clip is filled with joy. Thanks Jay, I really appreciate your comment. Sometimes, capturing the real atmosphere of a place is not easy. In this case though, Montmartre just seemed to want to tell it’s own story. It was a joy to record and a joy to produce.